Dizziness during yoga is not uncommon. It may be due to the obvious, such as low blood sugar or dehydration, or a more removed cause, such as the withholding the urge to urinate. 1. Calm the vata dosha. From an Ayurvedic perspective, dizziness is linked to increased or vitiated vata dosha. Skipping meals, staying awake at night, and withholding urges are vata aggravating. It’s important to always honor the need to urinate, defecate, pass gas, sneeze, yawn, or cough. To ignore these urges is to stifle an energy that needs to be expressed. Instead of moving up, or down, or out, the vata becomes vitiated in the body and causes imbalances, such as dizziness. When it comes to meals, timing is very important—3 p.m. is not an appropriate lunchtime and causes the body imbalance. Aim to eat breakfast between 7 p.m.-8 p.m., lunch between 11:30 a.m.-1 p.m., and dinner between 5 p.m.-7 p.m. with a small snack in between lunch and dinner if needed. The body functions best on a regular schedule. That being said, it’s best to avoid eating in the 90 minutes before a yoga class. Time your yoga classes around your eating schedule, and if that’s impossible, choose something light such as fresh fruit if you’re within the 90 minute window. Vinyasa and flow yoga classes frequently switch between upright and inverted asanas such as Downward-Facing Dog or Upward-Facing Dog. If this makes you feel lightheaded, consider switching to a slower yoga style, such as Hatha or Yin. Always linger in resting and neutral poses rather than quickly moving from one thing to the next. Take extra time to move into and out of inversions. 3. Get out of the heat. If you have a tendency toward dizziness, you want to try and avoid hot yoga—this will only exacerbate the problem. Vata is aggravated by extreme temperatures and that aggravation may make you feel lightheaded. 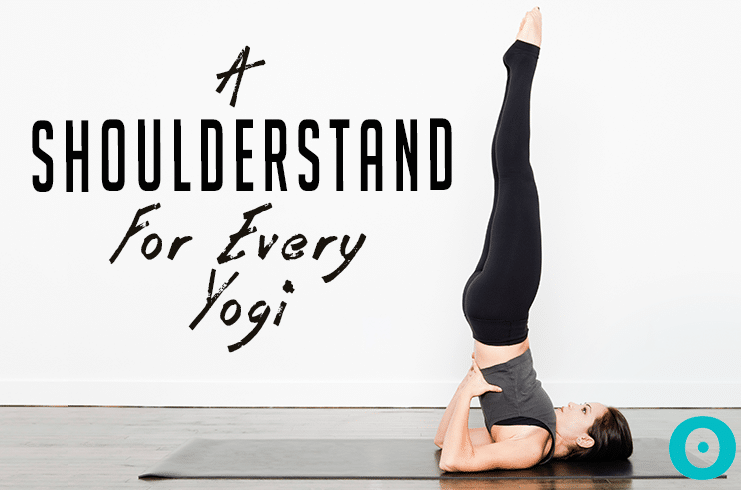 Go back to the basics: slow or moderately paced yoga in a room temperature studio. Inversions, standing forward bends, and poses that throw the head back such as Camel pose are known to aggravate dizziness. Be extra cautious in these poses, moving in and out very slowly. Better yet, avoid them altogether unless you’re under the guidance of a yoga instructor. And when practicing balancing postures that may distort your sense of space, use the wall or a chair for support. 5. Breathe from your belly. Dizziness can occur with incorrect breathing. If you’re getting dizzy during pranayama, it’s because you’re not breathing into your belly. Proper abdominal breathing is the foundation for all pranayama exercises such as bhastrika, kapalabhati, and anuloma viloma, and it’s also very important during asana. Close your eyes and without altering your breath in any way, simply observe it. Is your belly expanding and contracting? If not, you’re breathing incorrectly. If it’s your chest that’s expanding and contracting you’re a thoracic breather, and if you’re lifting your upper ribs and collar bones to take in air, you’re a clavicular breather. Both are the breaths of physical exertion, anxiety, and even asthma. They deprive the body of proper oxygenation and cause unnecessary stress. Incorrect breathing is very common, so every yoga student should take time to learn basic abdominal breathing. Lie down on your back and place a lightweight book over your navel. Breathe in slowly, lifting the book with your belly. As you breathe out your belly and the book should lower toward to the floor. Do this for a minute or two. Made into a daily practice, basic abdominal breathing will help to correct improper breathing habits and alleviate the tendency toward dizziness during yoga. 6. Add pranayama to your routine. Yogis teach that alternate nostril breathing (anuloma viloma) balances the left and right brain hemispheres; practice regularly and you’ll experience a newfound stability. Anuloma viloma also relieves the stress and anxiety which can cause panicky, lightheaded sensations. Once you’ve mastered abdominal breathing, you can make this breathing exercise part of your daily routine. Learn with an experienced yoga teacher and devote 5-10 minutes of your day to this pranayama, whether it’s after your asana practice or just before bed. If you still find yourself dizzy during class, carefully exit the asana. Lie down on your back with your eyes closed. If you’re in a standing posture, you can also slowly lower to a squat and bow your head down to relieve lightheadedness. Never push through the pose; your body needs a chance to equilibrate. Dizziness is also a sign of dehydration, something that should especially be considered if you’re practicing Hot Yoga. It is also a sign of high blood pressure or other stresses on your heart!